Lukas Graham’s 7 Years is one of the hottest songs in the country…and apparently his momma gave him plenty of good advice. 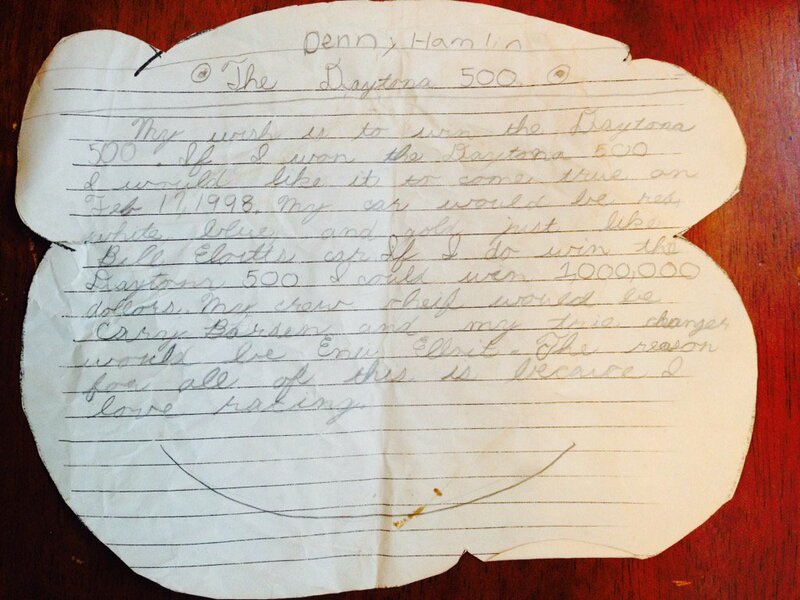 But Lukas didn’t tell his momma he was gonna win the Daytona 500… not even close… but Denny Hamlin did! 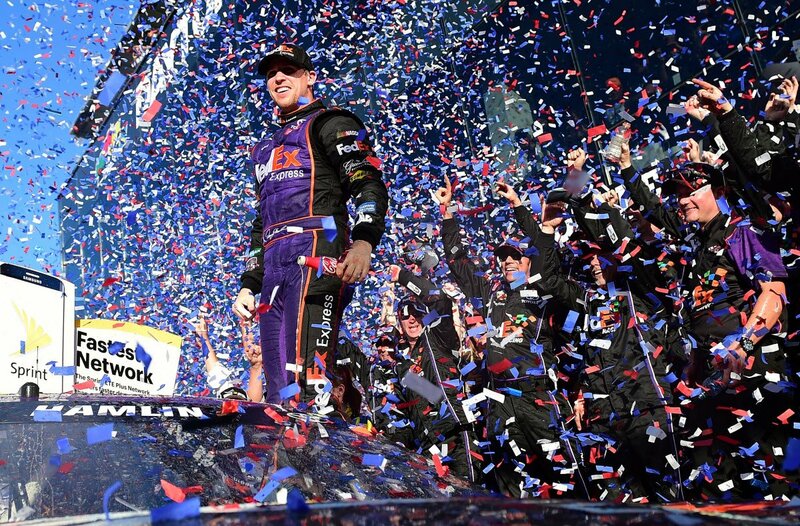 Hamlin was a little off with the year, the color of his car, and the makeup of his pit crew, but he got the most important part right — he is now a Daytona 500 champion. 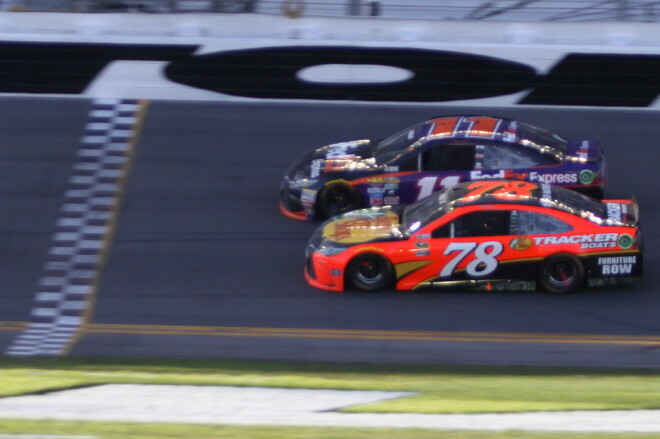 In a race for the ages, Hamlin edged out Martin Truex Jr. by inches to win the race – a photo finish – and complete the picture Denny Hamlin had in his mind, his vision he put down on paper twenty-eight years earlier. Patience my friends, pays off. So does having a dream, writing it down and never giving up on achieving it. So why don’t more of us do it? I don’t know. When most of us are 7-years-old we definitely have dreams, maybe of being an actor, an athlete, a dancer, a singer, a doctor, a lawyer, a fireman, a police officer, the president, and more. But somewhere between then and now we get lost along the way – I guess you could call it the whirlwind of life. But what is that? Life is meant to be lived and we are meant to give back what we have been given, we are meant to shine. Every single one of us. I’ve learned over the past few years how it works. See it, dream it, feel it, write it down, work to get it and never give up. 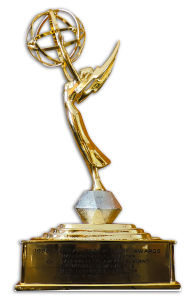 TV Producer, Reporter, Emmy Winner, Author, Blogger, Speaker, Speech Writer, Leader. All visions I have had, things I have thought about, turned into goals, strategies, reality. And it’s far from over and far from realized in fact the journey never ends, why would you want it to? If you believe you’ve got the talent, if you know you have the passion, you have to pursue it. What else is there? Average? Mediocrity? Denny Hamlin took this to heart. Lukas Graham turned it into a song. Both were once 7-years-old. We all were. We can all look back to when we were young and think what we dreamed might never happen. Or we can remember that feeling, bring it forward, seize each day, each moment, each second and become champions at what we were born to do. Once I was 7 years old. But I’ve got a lot left to do, and a lot left to give.